Eight is well represented in many Asian cultures like the Noble Eightfold Paths, the Eight Immortals, Hindu Goddess Lakshmi’s eightfold forms, and Japanese’s symbol for increasing prosperity. 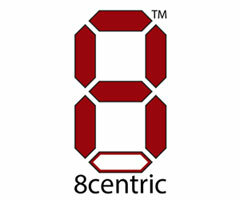 In essence, eight is a prominent number in Asian culture. “Acentric” is defined as without a center, it also describes the 400,000+ Massachusetts Asian Americans & Pacific Islanders (AAPIs) who are living in various enclaves with limited access to one another. Thus, 8centric was created to redefine the effect of the dispersed Asian population and bring together individuals from all cultures and backgrounds to create a hub that connects people.